I know I’m way too late with this but I had to jump on the bandwagon and experience it myself. 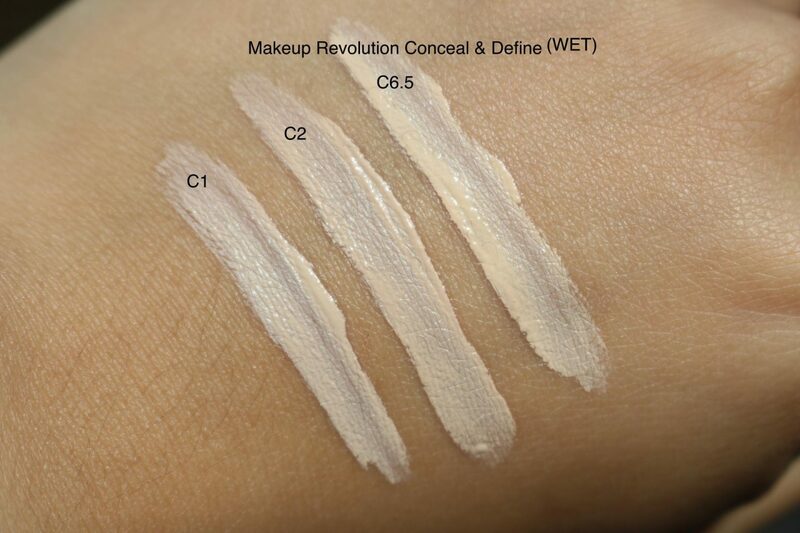 The Revolution (before it was named Makeup Revolution) has released the Conceal and Define Concealer and many people are saying that it is a great dupe of the famous and must have Tarte Cosmetics Shape Tape Contour Concealer. Unfortunately I never tried the Shape Tape Contour Concealer but I believe my friends when they say that it is an amazing concealer. But why spend so much on a concealer while you can get the Revolution Conceal and Define for less than 5 euro’s? Let’s see if it’s worth the hype! A concealer for everyone! 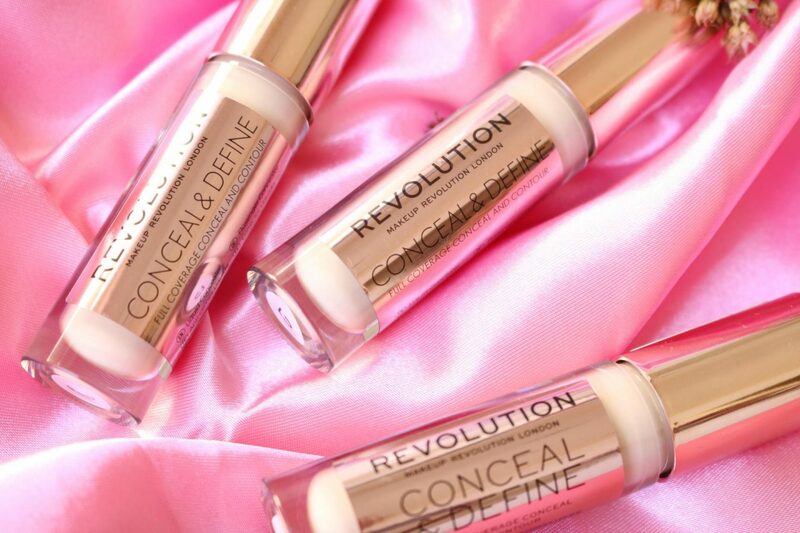 Revolution offers 25 different shades of their Conceal and Define Concealer. I think they did an amazing job because the balance of pale and dark shades is just perfect and everyone can find their perfect match. 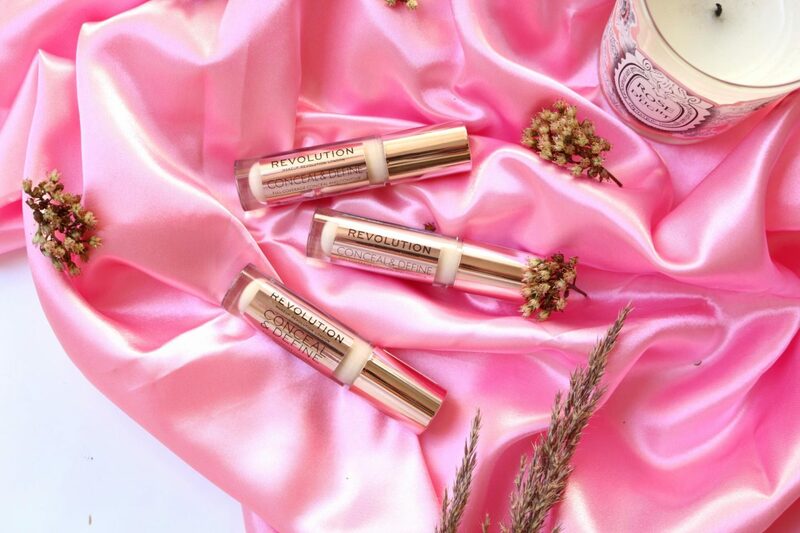 A lightweight yet full coverage concealer that will blur away blemishes, uneven skin tone and dark circles. 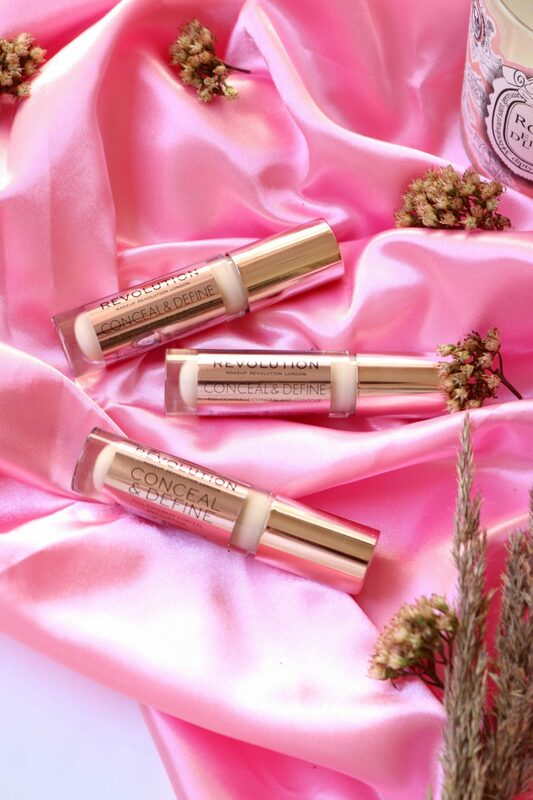 The packaging of the concealer is just what I expected: a great amount of product in it with a cute metallic rose gold cap and sticker on the tube. Inside you will find this huge wand which is great to cover your whole under eye area and to dot your blemishes. The fun thing is that in the middle of the wand there is this ‘hole’ were the product sits, I think that this hole will create this seamless dot and swipe when you apply it, so there will be always enough product on the wand and you don’t need to dip in again in the tube. 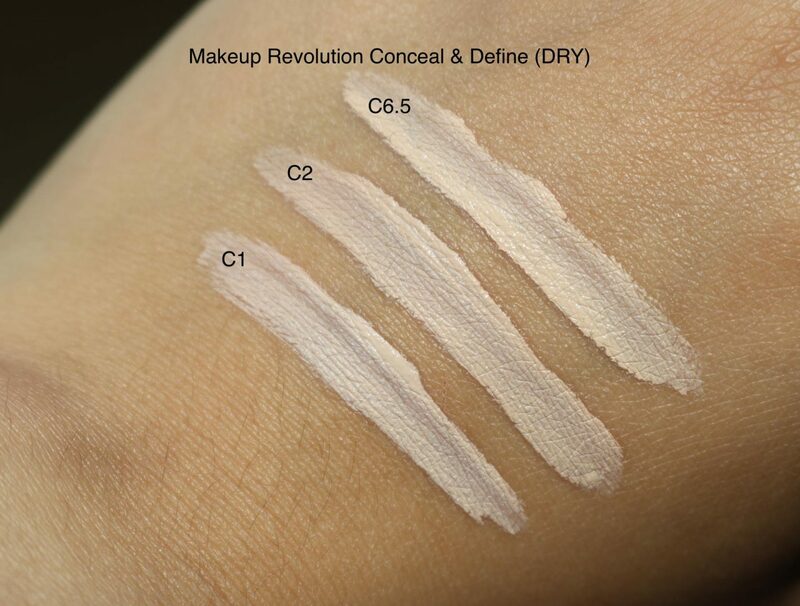 I purchased the Conceal and Define in the shades C1, C2 and C6.5 for you. The first two shades can be used as a highlighter for under the eyes to lighten them up. The C6.5 was in my opinion a great match with my skin tone for blemishes (I’m a NC20/25 with MAC), but it turned out to be lighter than I thought. Some shades also offer an half (0.5) in shade range so there is a better color match. 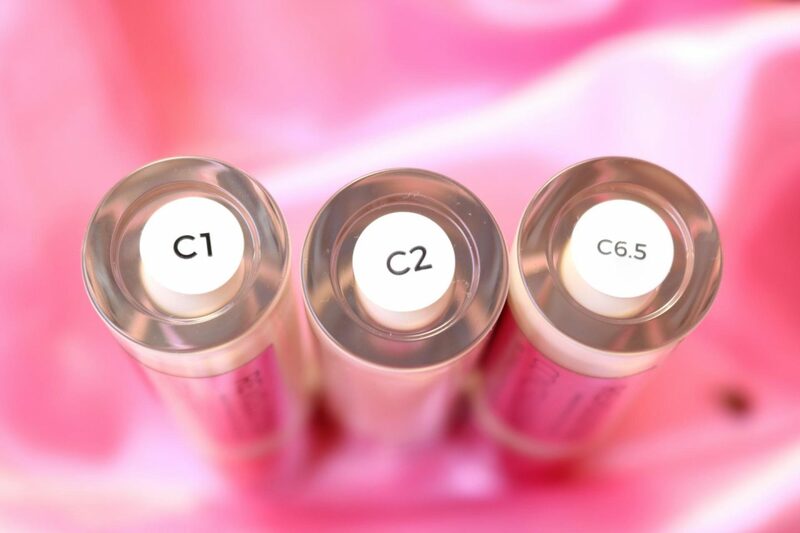 C1 can be described as a porcelain white, great for highlighting. C2 looks almost the same as C1 but has a hint of rose in it. If I’m correct you can use C1 when you have a yellow undertone and C2 for cool. The dark shades can be used for contouring the face. I never used a liquid product to shape my face because I prefer a more natural look with the help of some bronzer. Also, who has time to contour their face and blend it out at 6AM when they go to work? I don’t unfortunately. You can love or hate a concealer. Sometimes it is too thick and other times it can be too light or liquid. 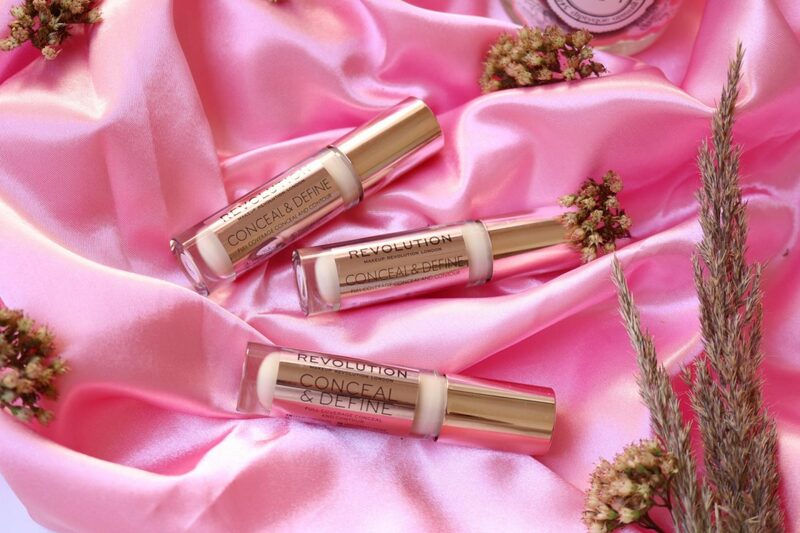 The texture of the Conceal and Define feels so smooth and light on the skin, exactly what Revolution promised us. It has a lightweight feeling on the skin and it blends perfect on the skin. No patches or fine lines are visible when blended out with a damp Beautyblender. Revolution also advises to blend your concealer with your fingers so it warms a bit up, but it has been ages since I used my fingers to blend out my under eye area. The best way to apply the concealer is to make some dots under your eyes. I prefer making a few stripes so my whole under eye looks brighter and even. Sometimes I even spread it out on my cheeks to conceal the big pores! It makes everything look smooth. When it sets the concealer has a matte finish but it doesn’t look dry or caky, even with a setting powder on top. Even tho I’m only 25 (almossst 26!) my eyes look more open and wider after I applied the concealer. The lines and blemishes are seriously gone within a few second. 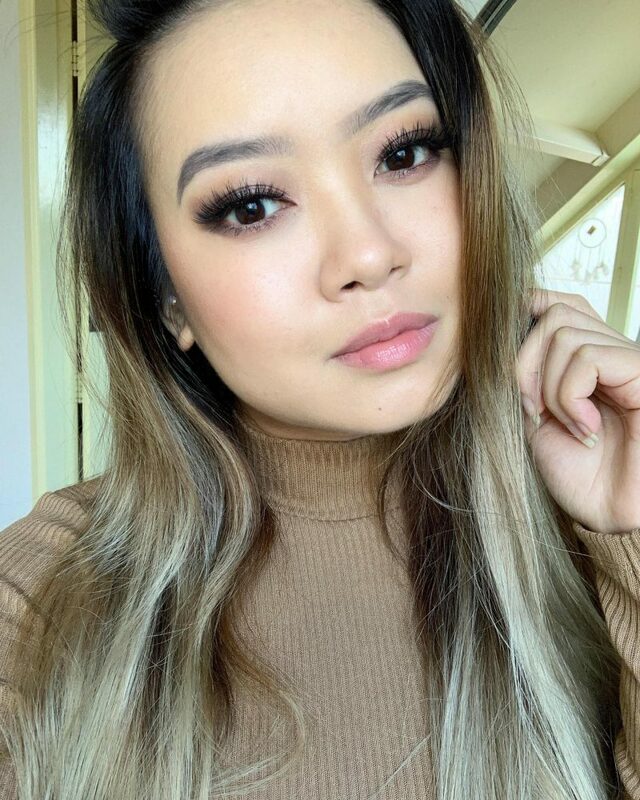 When wearing the concealer all day (and with setting powder on top) I do notice that my concealer does start to crease a bit underneath my eyes. I have this huge line under my right eye, which is the only place where the concealer starts to crease in the line. The coverage still looks great and it doesn’t melt that quickly. When I apply the concealer at 6AM it looks damn fine. Smooth and great coverage, almost like I baked my under area (which isn’t the case, I only set it with a small amount of Translucent Setting Powder by Laura Mercier). At 3PM the concealer starts to crease underneath one eye but nothing serious that makes me feel un happy. When I finish my work at 5AM I do have to powder my face because of oily skin problems. I apply a tiny amount under my eyes because I still have to travel a long way to home. It is not necessarily but sometimes I sleep on the train and my mascara can transfer under my eyes. At the end of the day I’m very happy with how the concealer looks like. Depending on the weather conditions the concealer still looks fresh, matte and doesn’t crease that much. Without setting powder the concealer might survive that long when you have oily skin like me, but I’m glad that my crow’s feet are not visible. Overall I’m really happy with the Conceal and Define Concealer. I hope that some of you tried this concealer and the one from Tarte Cosmetics because I would love to hear your opinion if it’s really is a dupe. The price range is great for the amount of product you receive and they did an amazing job by releasing 25 shades which will match with every skin tone. 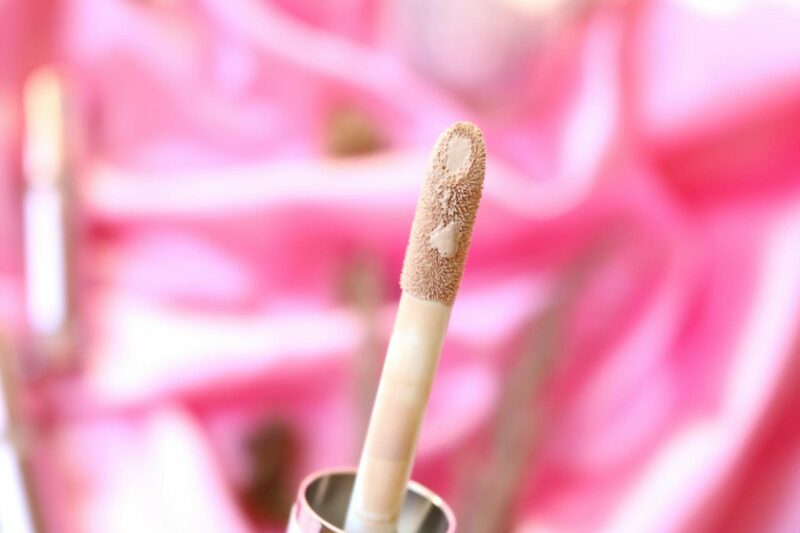 I love that the wand of the concealer is big and soft, you can easily cover a whole eye area in one swipe. The texture of the concealer is smooth and light weighted, so you only need a light hand to blend it out. Fine lines are gone and my skin looks so smooth and even. No dark circles or imperfections! This is a must when you are looking for a great concealer when you are on a low budget. Honestly, 5 euro’s for a great concealer is nothing. I know a few other affordable and high quality brands that offer their concealer from 8 euro’s, so this is a splurge! 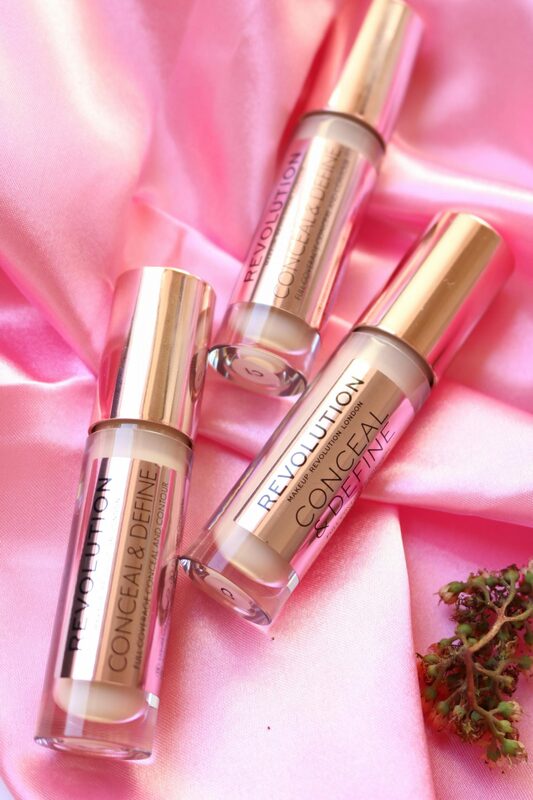 The great thing is that Revolution offers their Conceal & Define Concealers in a bigger packaging for a few euro’s more. You might get better for their big concealers because it contains 3 times more product. 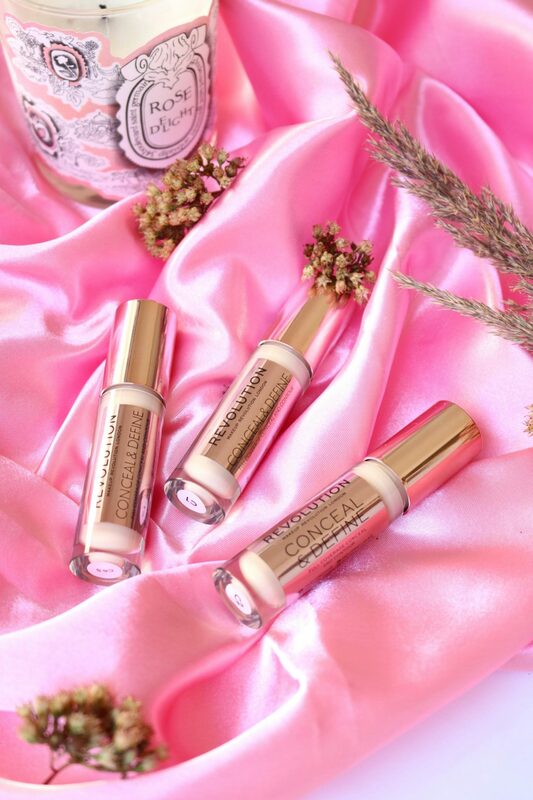 And did you know that this concealer is cruelty free and vegan? 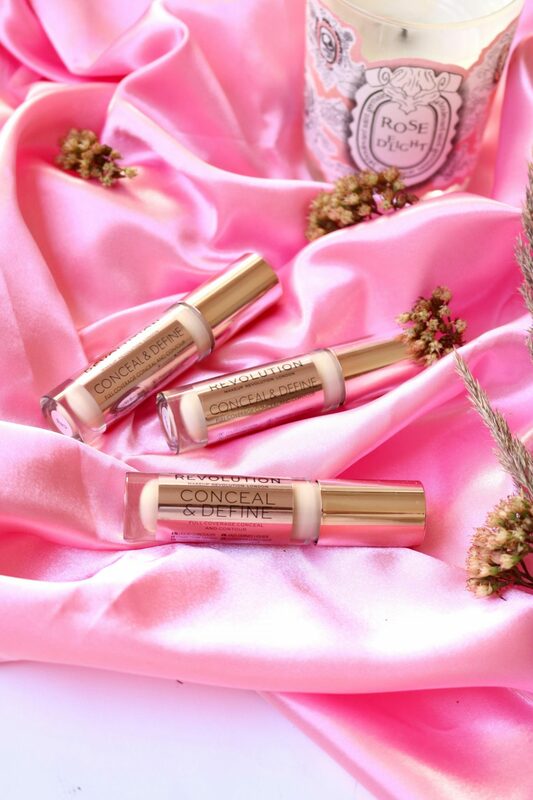 Try out Conceal and Defineyourself to see if it’s worth the hype! You can buy it here or on their official website. I’ve never tried shape tape but I love this MUR concealer!